If there’s one thing that the surrealists were masters of, it was juxtapositions: tantalisingly uncanny combinations of objects, which might reveal the secret desires of our unconscious. From Dalí’s Lobster Telephone, to Meret Oppenheim’s fur-lined teacup (Le Déjeuner en Fourrure), their tongue-in-cheek assemblages eluded fixed meanings, seducing an array of fetishist, Freudian, and feminist readings. Forever drawn to such surrealist concoctions, Paris-born and raised photographer Denis Darzacq often bases his work on a given paradox. Lately, he has been drawn to the paradox of artistic mediums. In his ongoing series, Doublemix, opening at L.A.'s De Soto Gallery this Saturday, Darzacq combines his photographs – an intriguingly haphazard selection of vernacular-style pictures of nature, historical statuary, abstract paintings and suburban streets – with decorative ceramic shapes by his long-time friend and on-going collaborator, Anna Lüneman. The results might not be so erotically inclined as surrealist assemblages, but they seek to intrigue, tease and surprise in equal measure. That much is certain when AnOther asks Darzacq about the creative process behind his photo-sculpture hybrids, to which he quips in his thick French accent, “When I give you the cake and you like it, I won’t give you the recipe.” Luckily, the press release gives some of the secret away: sections of Darzacq’s photographs are laser-cut to insert Lüneman’s sculptural forms. From the viewpoint of a computer screen that wouldn’t necessarily be clear; the colourful ceramic shapes look as if they could have been photoshopped onto the images. In reality, Darzacq explains, the artworks appear more like “relief sculptures”, traditionally carved out of stone so that figures appear to be raised from a flat background. But his creations are hardly traditional: in Double Mix No. 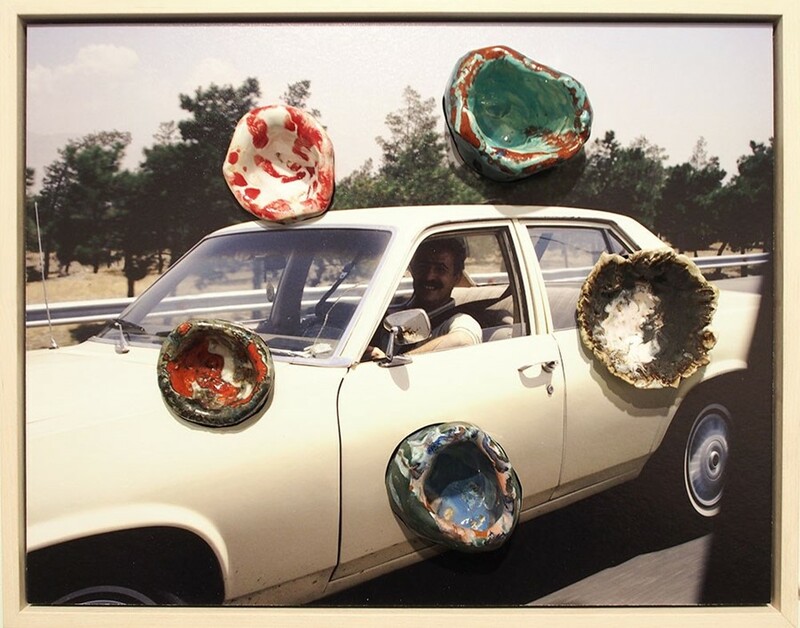 45 (2015), little multi-coloured clay vessels sprout from a picture of a car, while in Double Mix No. 2 (2014), a large, speckled ceramic paint-like splodge cloaks an image of a stone statue. 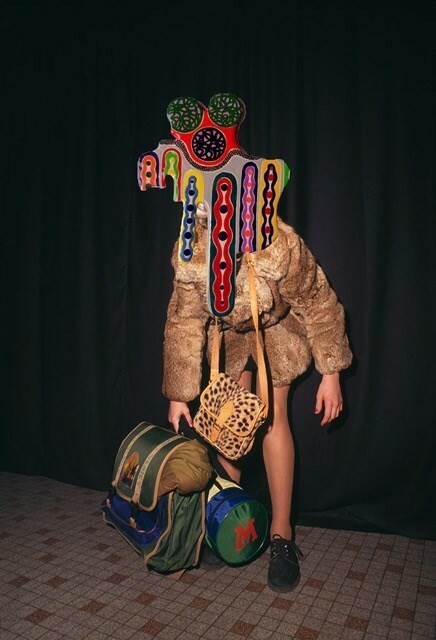 If these absurd combinations puzzle you, Darzacq’s surrealist magic is working. By foregrounding such arbitrary pairings as photo/sculpture, decorative/vernacular, pixel/tactile and, intrinsically, the old (earthenware) with the new (digital photography), Double Mix irreverently resists conventional modes of reading images, and therein takes on a new significance. “The fact is,” Darzacq says, “that photography typically has to mean something, it has to have a purpose; a photograph either represents a house, a tree, a car, a dog, but suddenly when combined with ceramics, there’s no purpose, because you destroy the purpose.” Double Mix hence serves as an anarchical gesture directed at the tradition of photography, and asks, “Why should photography have to represent something? Why can’t it just be?” In the words of the artist himself it is “a completely poetic proposal”. 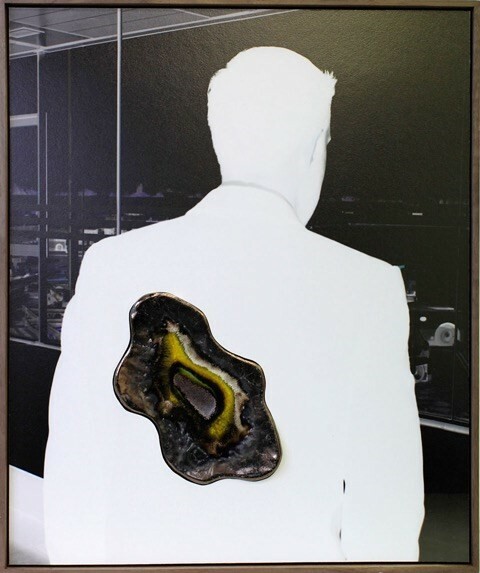 And that proposal works both ways: “It’s questioning the meaning of photography, and of ceramics”, Darzacq confirms, “that’s what I like doing in my work – paradoxical situations in the same frame. Usually its two kind of realities, and when I ask another artist to bring her own reality to my work, suddenly it gives this paradoxical situation where all of these different mediums jostle together – sometimes it’s harmony, sometimes it’s discordance.” But sometimes, as in the case of Double Mix, it’s a harmonious discordance. 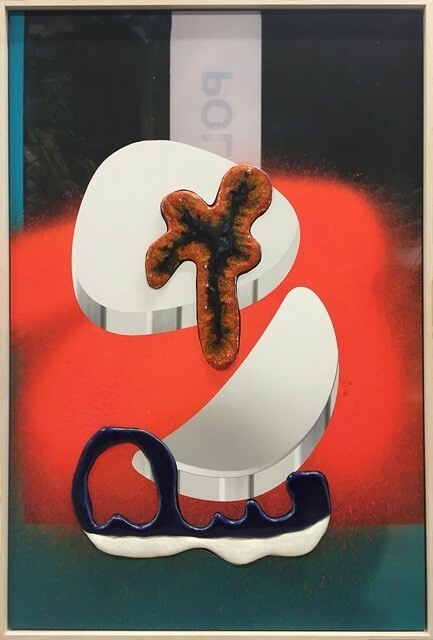 Denis Darzacq & Anna Lüneman: Double Mix runs from May 21 until July 23, 2016 at De Soto Gallery, Los Angeles.